Japan wants to stage a robot Olympics alongside the 2020 Olympics in Tokyo. 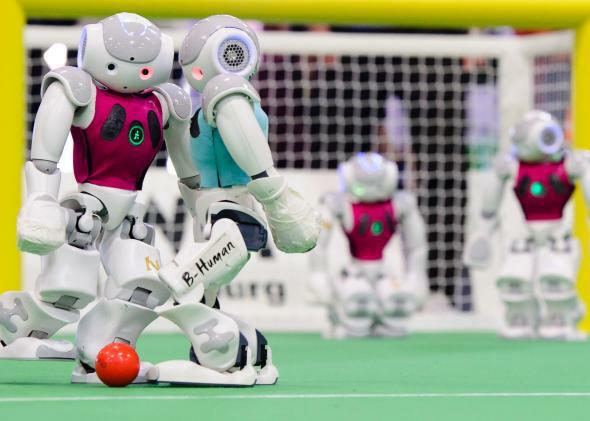 Would these robots competing in the 2014 RoboCup German Open tournament even qualify for the robot olympics? It’s fun to follow the Olympics, but something is missing. It’s certainly not human narratives or drama. It’s not excitement. It’s robots. Where are the robots? Japanese Prime Minister Shinzo Abe has the same question, and since Japan is hosting the 2020 summer games in Tokyo, he’s in a position to do something about it. But most importantly, he said he wants to organize a Robot Olympics. “In 2020 I would like to gather all of the world’s robots and aim to hold an Olympics where they compete in technical skills,” Abe said, according to the AFP. Between robot-assisted parathletes at Cybathlon and the Robot Olympics, this is going to be the decade of robot sports. Finally.